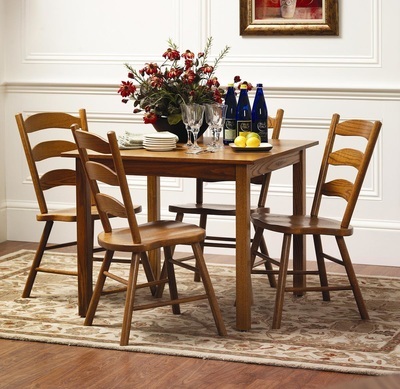 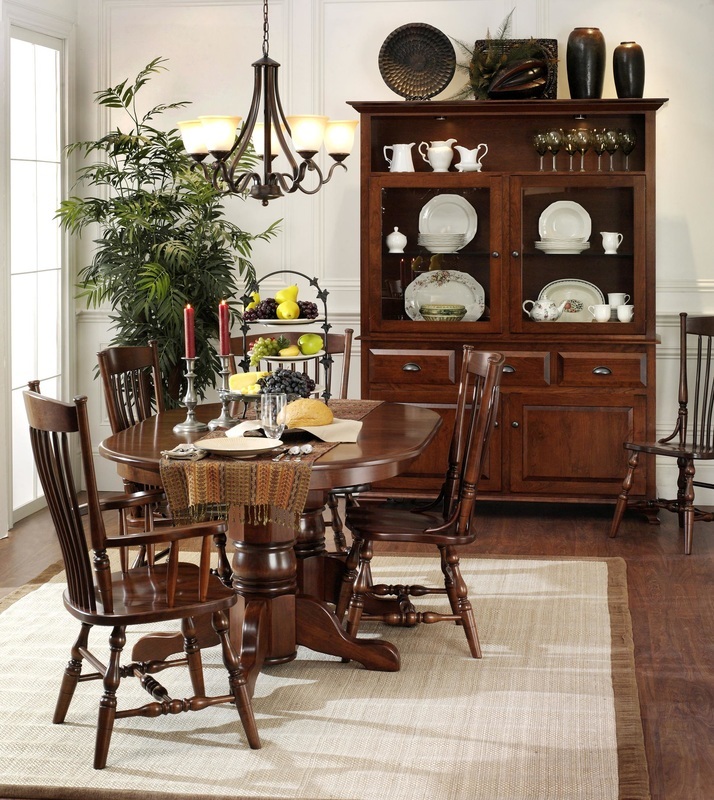 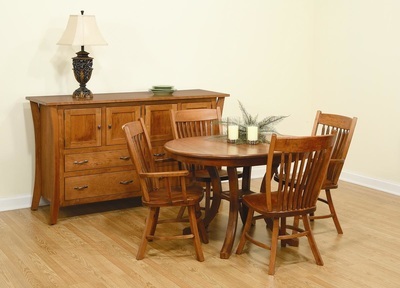 All dining room sets are made of all hardwood. 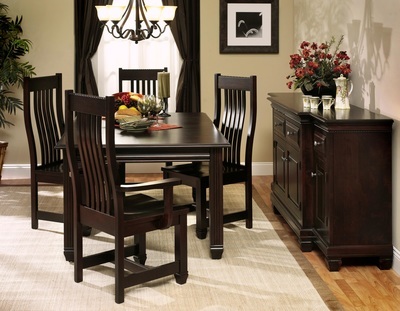 No part of any of our furniture is made from particle board. 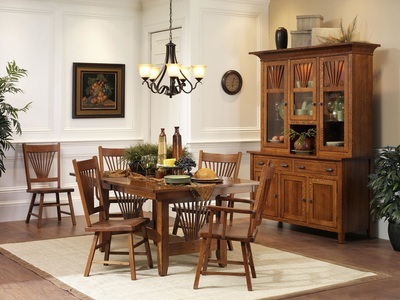 This is a trend that has been used by many furniture producers for a while to save money on production of the furniture. 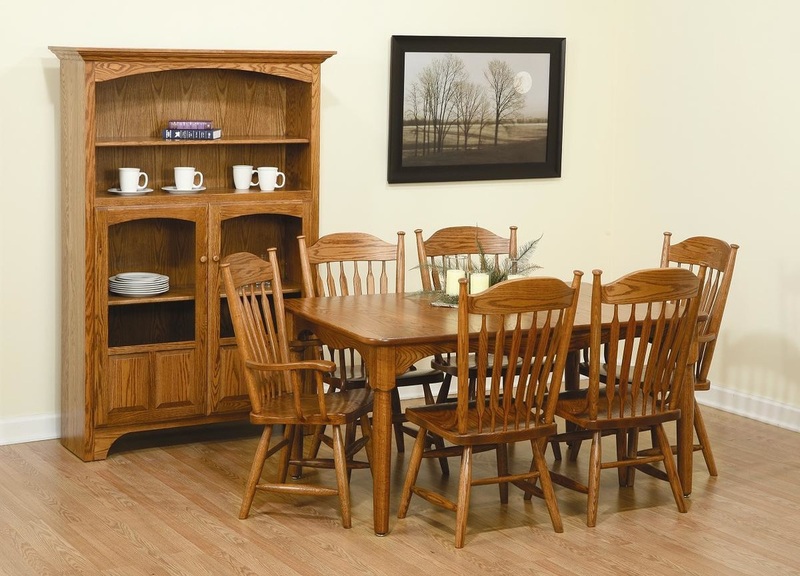 It may look nice with the wood veneer covering it, but it soon starts to sag and warp leaving the furniture looking terrible after a short period of time through only normal use. 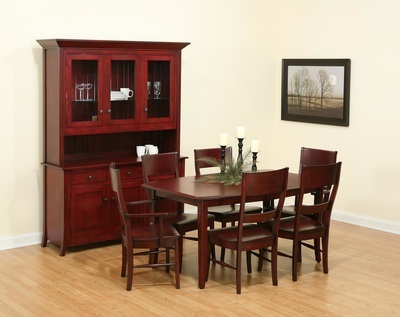 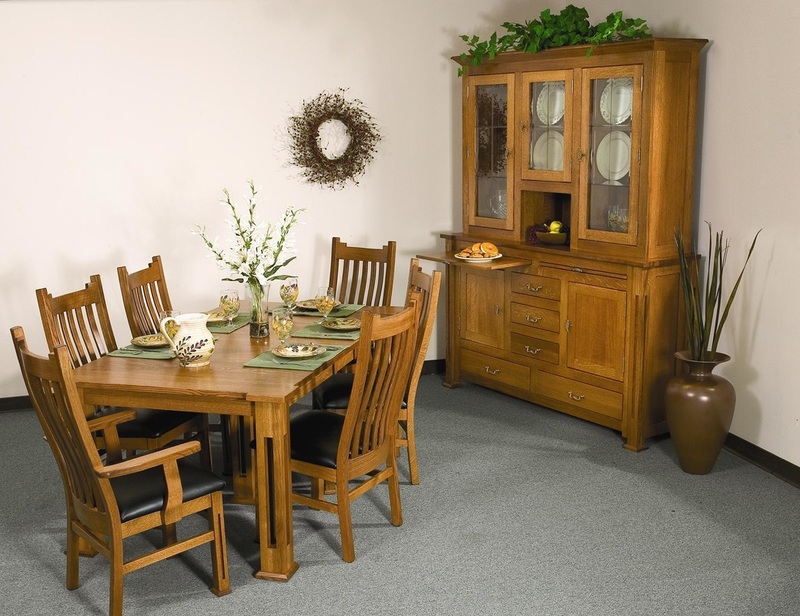 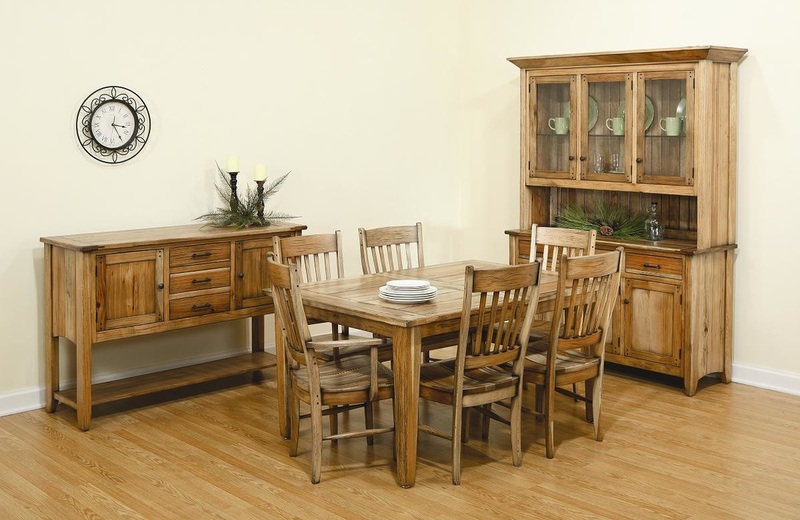 Our furniture is all made to last a lifetime and be able to be passed down through the family. The tables use a catalyst finish that is designed to withstand almost anything. 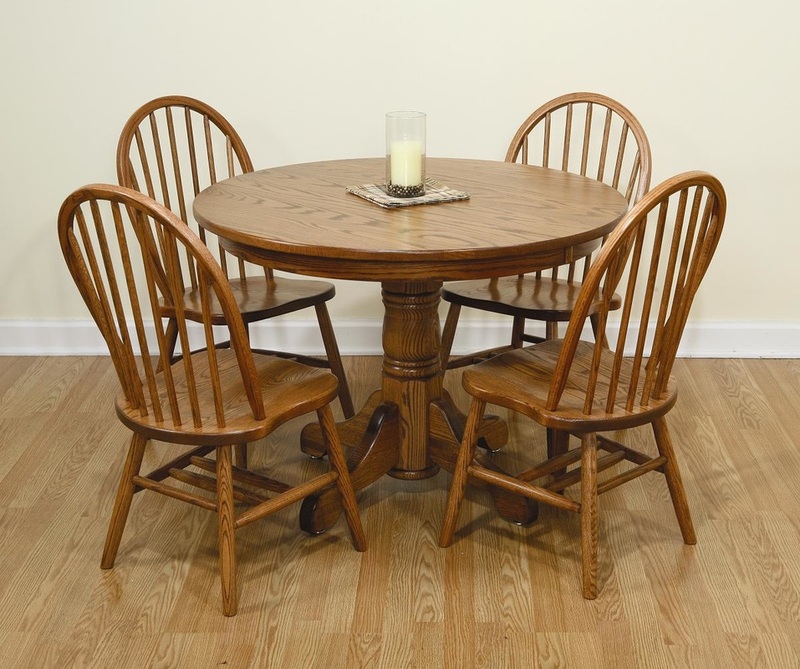 Hot coffee cups can be placed directly on the table top leaving no damage to the finish. 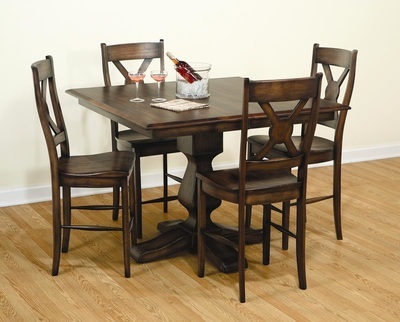 It can withstand almost anything being spilled on it. The only major exception is acetone from nail polish remover which must be cleaned off within an hour to prevent hazing of the finish.